Greenfield Community College will host a screening of Food For Change in Room C 208 on the GCC campus, One College Drive in Greenfield MA. Take in some entertaining American history with snacks from Cabot Cheese and Real Pickles, a Greenfield-based cooperative. Filmmaker Steve Alves will be there to introduce the film and answer questions after the show. The event is free and open to the public. Refreshments will be served. The 82-minute documentary examines the history of cooperatives in America as the country’s longest-surviving alternative economic system. 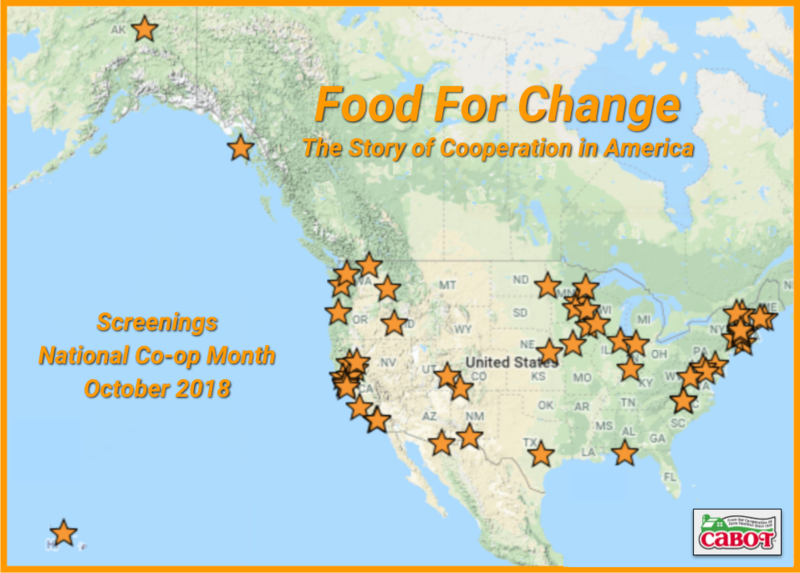 The film focuses on the local food movement, the current resurgence of food cooperatives in America and their unique place in the economic and political landscape.